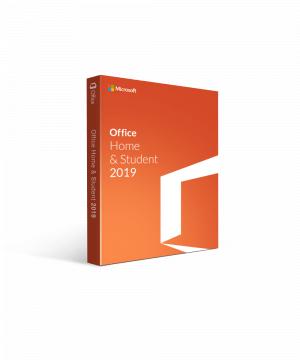 This download is the best choice for students or anyone that would like access to some of Microsoft’s best applications. With this simple software, you will be able to use PowerPoint, OneNote, Excel and Word. The download is simple and fast, making it easy for you to dive in and complete your work. If you’re a student, you know that you have a lot of different homework and projects to complete. Microsoft wants to make your homework as easy as possible for you. That’s why all of these applications have new added features. Some of these features are remarkable and are game changers. With new upgrades, these applications are easier than ever to use and more user-friendly. PowerPoint has always had great effects and features but now there is more, such as 3D images and icons. Missed a lecture? No problem, ask one of your classmates to send you their notes through OneNote. You can also write down any ideas for projects and share with classmates. This can help keep communication at a good level. Communication is key with group projects. If you need to keep track of data or information, you can easily do all of that on Excel. Spreadsheets are helpful in many cases, but you can also make charts and other diagrams as well. Word has always been a number one choice when it comes to writing papers and other writing assignments. Now, with more templates and added features, Word allows you to get started right away and finish as quickly as possible. Gráficos: A aceleração de hardware gráfico requer o DirectX 9 ou posterior, com WDDM 2.0 ou superior para o Windows 10 (ou WDDM 1.3 ou superior para a Atualização de Criadores de Outono do Windows 10). A funcionalidade da Internet requer uma conexão com a Internet. Taxas podem ser aplicadas. É necessário um dispositivo ativado pelo toque para usar qualquer funcionalidade multitoque. Porém, todos os recursos e funcionalidades estão sempre disponíveis usando um teclado, mouse ou outro dispositivo de entrada padrão ou acessível. Observe que os recursos de toque são otimizados para uso com o Windows 10. A funcionalidade do produto e os gráficos podem variar com base na configuração do seu sistema. Alguns recursos podem exigir conectividade adicional ou avançada de hardware ou servidor. Recursos de gerenciamento de arquivos em nuvem exigem OneDrive, OneDrive for Business ou SharePoint. Conta da Microsoft ou conta organizacional da Microsoft necessária para atribuição de licença. €129.99 | In Stock Want it Now? Order and receive your download instantly.